We create awesome premium WordPress themes & plugins. 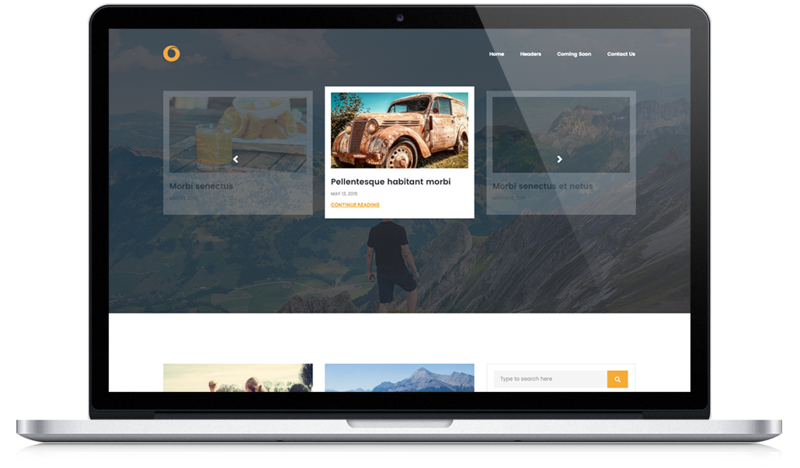 We’ve designed a beautiful easy-to-use WordPress theme for bloggers. It comes with an elegant unique design and secure code. All you need to do is to enjoy blogging! Over 7,000+ customers use our themes to build their websites. I have to say that this is probably the best theme that I have ever purchased – so easy to install and configure and the final result is just what I was looking for! After a very long time, I finally have a website up and running!! Thank you. This is one of the best templates I have used. It seems that I can't find a plugin that conflicts with the template. Very solid and TRUe customization to just about any extent! Thanks! I can not thank you enough for your amazing support! For anyone thinking about purchasing this theme…IT IS AWESOME AND THE SUPPORT IS AWESOME AS WELL!!!! !